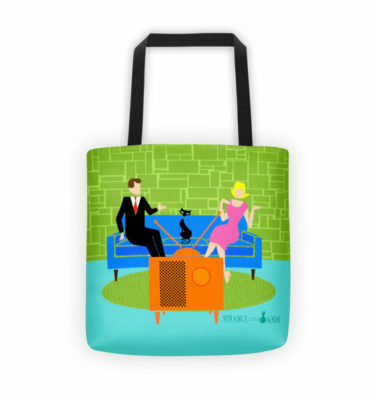 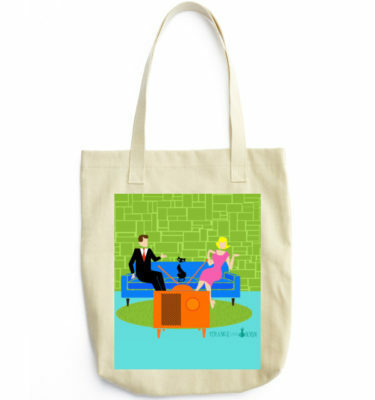 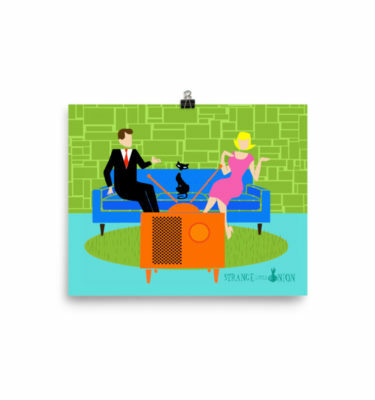 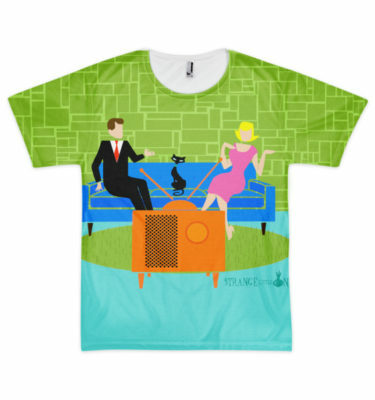 This Retro Couple with Cat design features a cartoon couple trying to get cozy while watching television on a mid century modern, blue sofa. 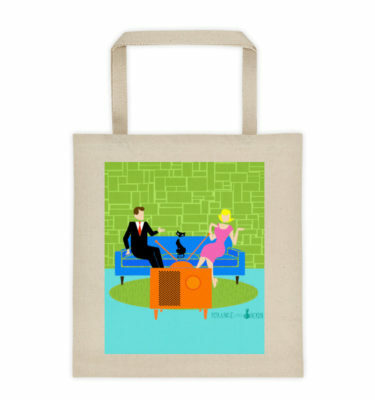 The cat, however, has other ideas. 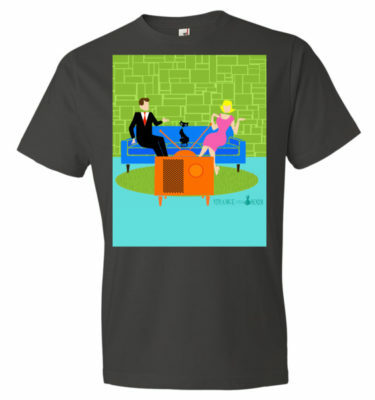 On one side of the sofa, there is a handsome man in a black suit with red tie. 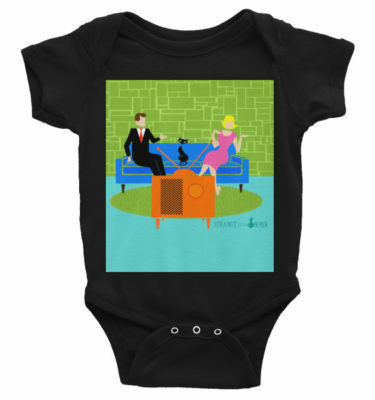 On the other side of the stylish couch, there is a beautiful, blonde woman in a form fitting, hot pink dress. 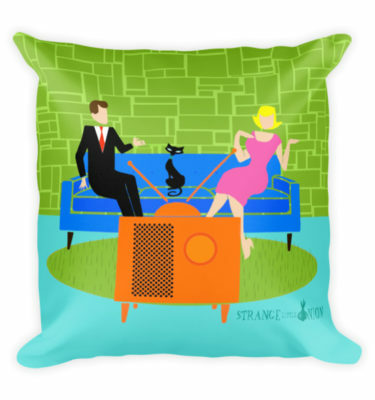 Things would be going great if it weren’t for the sleek black cat, which has laid claim to the center sofa cushion. 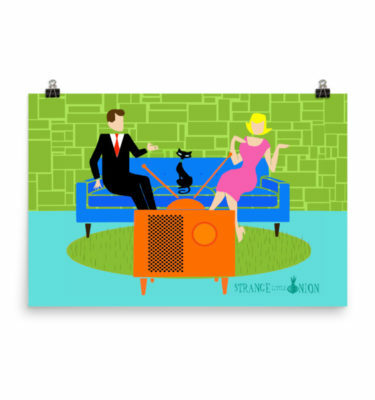 This 1960’s style, minimalist art design is set in a stylish living room. 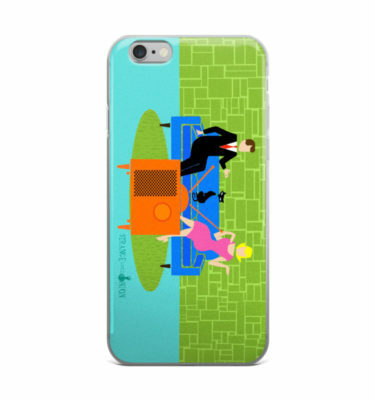 The sofa’s backdrop is a green, stone wall. 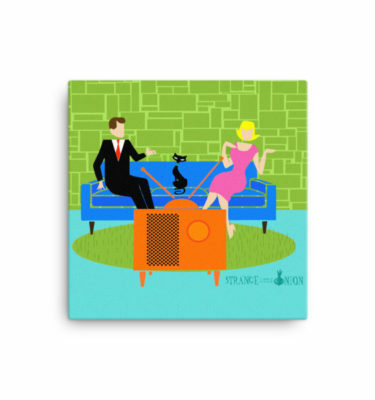 On the aqua floor, there is a round, green shag rug, which matches the stone wall. 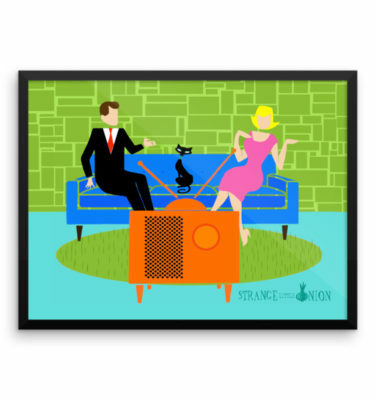 At the forefront of the design, we see the back of an orange television set with rabbit ears, which seems to be playing the cat’s favorite TV program.